Chapter 7.— What is Written in the Revelation of John Regarding the Two Resurrections, and the Thousand Years, and What May Reasonably Be Held on These Points. The evangelist John has spoken of these two resurrections in the book which is called the Apocalypse, but in such a way that some Christians do not understand the first of the two, and so construe the passage into ridiculous fancies. For the Apostle John says in the foresaid book, And I saw an angel come down from heaven. . . . Blessed and holy is he that has part in the first resurrection: on such the second death has no power; but they shall be priests of God and of Christ, and shall reign with Him a thousand years. Those who, on the strength of this passage, have suspected that the first resurrection is future and bodily, have been moved, among other things, specially by the number of a thousand years, as if it were a fit thing that the saints should thus enjoy a kind of Sabbath-rest during that period, a holy leisure after the labors of the six thousand years since man was created, and was on account of his great sin dismissed from the blessedness of paradise into the woes of this mortal life, so that thus, as it is written, One day is with the Lord as a thousand years, and a thousand years as one day, 2 Peter 3:8 there should follow on the completion of six thousand years, as of six days, a kind of seventh-day Sabbath in the succeeding thousand years; and that it is for this purpose the saints rise, viz., to celebrate this Sabbath. And this opinion would not be objectionable, if it were believed that the joys of the saints in that Sabbath shall be spiritual, and consequent on the presence of God; for I myself, too, once held this opinion. But, as they assert that those who then rise again shall enjoy the leisure of immoderate carnal banquets, furnished with an amount of meat and drink such as not only to shock the feeling of the temperate, but even to surpass the measure of credulity itself, such assertions can be believed only by the carnal. They who do believe them are called by the spiritual Chiliasts, which we may literally reproduce by the name Millenarians. It were a tedious process to refute these opinions point by point: we prefer proceeding to show how that passage of Scripture should be understood. The Lord Jesus Christ Himself says, No man can enter into a strong man's house, and spoil his goods, except he first bind the strong man — meaning by the strong man the devil, because he had power to take captive the human race; and meaning by his goods which he was to take, those who had been held by the devil in various sins and iniquities, but were to become believers in Himself. It was then for the binding of this strong one that the apostle saw in the Apocalypse an angel coming down from heaven, having the key of the abyss, and a chain in his hand. And he laid hold, he says, on the dragon, that old serpent, which is called the devil and Satan, and bound him a thousand years, — that is, bridled and restrained his power so that he could not seduce and gain possession of those who were to be freed. Now the thousand years may be understood in two ways, so far as occurs to me: either because these things happen in the sixth thousand of years or sixth millennium (the latter part of which is now passing), as if during the sixth day, which is to be followed by a Sabbath which has no evening, the endless rest of the saints, so that, speaking of a part under the name of the whole, he calls the last part of the millennium— the part, that is, which had yet to expire before the end of the world— a thousand years; or he used the thousand years as an equivalent for the whole duration of this world, employing the number of perfection to mark the fullness of time. For a thousand is the cube of ten. For ten times ten makes a hundred, that is; the square on a plane superficies. But to give this superficies height, and make it a cube, the hundred is again multiplied by ten, which gives a thousand. Besides, if a hundred is sometimes used for totality, as when the Lord said by way of promise to him that left all and followed Him He shall receive in this world an hundredfold; Matthew 19:29 of which the apostle gives, as it were, an explanation when he says, As having nothing, yet possessing all things, 2 Corinthians 6:10 — for even of old it had been said, The whole world is the wealth of a believer,— with how much greater reason is a thousand put for totality since it is the cube, while the other is only the square? And for the same reason we cannot better interpret the words of the psalm, He has been mindful of His covenant for ever, the word which He commanded to a thousand generations, than by understanding it to mean to all generations. And he cast him into the abyss, — i.e., cast the devil into the abyss. By the abyss is meant the countless multitude of the wicked whose hearts are unfathomably deep in malignity against the Church of God; not that the devil was not there before, but he is said to be cast in there, because, when prevented from harming believers, he takes more complete possession of the ungodly. For that man is more abundantly possessed by the devil who is not only alienated from God, but also gratuitously hates those who serve God. And shut him up, and set a seal upon him, that he should deceive the nations no more till the thousand years should be fulfilled. Shut him up, — i.e., prohibited him from going out, from doing what was forbidden. And the addition of set a seal upon him seems to me to mean that it was designed to keep it a secret who belonged to the devil's party and who did not. For in this world this is a secret, for we cannot tell whether even the man who seems to stand shall fall, or whether he who seems to lie shall rise again. But by the chain and prison-house of this interdict the devil is prohibited and restrained from seducing those nations which belong to Christ, but which he formerly seduced or held in subjection. For before the foundation of the world God chose to rescue these from the power of darkness, and to translate them into the kingdom of the Son of His love, as the apostle says. Colossians 1:13 For what Christian is not aware that he seduces nations even now, and draws them with himself to eternal punishment, but not those predestined to eternal life? And let no one be dismayed by the circumstance that the devil often seduces even those who have been regenerated in Christ, and begun to walk in God's way. For the Lord knows them that are His, 2 Timothy 2:19 and of these the devil seduces none to eternal damnation. For it is as God, from whom nothing is hid even of things future, that the Lord knows them; not as a man, who sees a man at the present time (if he can be said to see one whose heart he does not see), but does not see even himself so far as to be able to know what kind of person he is to be. The devil, then, is bound and shut up in the abyss that he may not seduce the nations from which the Church is gathered, and which he formerly seduced before the Church existed. For it is not said that he should not seduce any man, but that he should not seduce the nations — meaning, no doubt, those among which the Church exists— till the thousand years should be fulfilled, — i.e., either what remains of the sixth day which consists of a thousand years, or all the years which are to elapse till the end of the world. The words, that he should not seduce the nations till the thousand years should be fulfilled, are not to be understood as indicating that afterwards he is to seduce only those nations from which the predestined Church is composed, and from seducing whom he is restrained by that chain and imprisonment; but they are used in conformity with that usage frequently employed in Scripture and exemplified in the psalm, So our eyes wait upon the Lord our God, until He have mercy upon us, — not as if the eyes of His servants would no longer wait upon the Lord their God when He had mercy upon them. Or the order of the words is unquestionably this, And he shut him up and set a seal upon him, till the thousand years should be fulfilled; and the interposed clause, that he should seduce the nations no more, is not to be understood in the connection in which it stands, but separately, and as if added afterwards, so that the whole sentence might be read, And He shut him up and set a seal upon him till the thousand years should be fulfilled, that he should seduce the nations no more, — i.e., he is shut up till the thousand years be fulfilled, on this account, that he may no more deceive the nations. Chapter 8.— Of the Binding and Loosing of the Devil. After that, says John, he must be loosed a little season. If the binding and shutting up of the devil means his being made unable to seduce the Church, must his loosing be the recovery of this ability? By no means. For the Church predestined and elected before the foundation of the world, the Church of which it is said, The Lord knows them that are His, shall never be seduced by him. And yet there shall be a Church in this world even when the devil shall be loosed, as there has been since the beginning, and shall be always, the places of the dying being filled by new believers. For a little after John says that the devil, being loosed, shall draw the nations whom he has seduced in the whole world to make war against the Church, and that the number of these enemies shall be as the sand of the sea. And they went up on the breadth of the earth, and compassed the camp of the saints about, and the beloved city: and fire came down from God out of heaven and devoured them. And the devil who seduced them was cast into the lake of fire and brimstone, where the beast and the false prophet are, and shall be tormented day and night for ever and ever. Revelation 20:9-10 This relates to the last judgment, but I have thought fit to mention it now, lest any one might suppose that in that short time during which the devil shall be loose there shall be no Church upon earth, whether because the devil finds no Church, or destroys it by manifold persecutions. The devil, then, is not bound during the whole time which this book embraces—that is, from the first coming of Christ to the end of the world, when He shall come the second time,— not bound in this sense, that during this interval, which goes by the name of a thousand years, he shall not seduce the Church, for not even when loosed shall he seduce it. For certainly if his being bound means that he is not able or not permitted to seduce the Church, what can the loosing of him mean but his being able or permitted to do so? But God forbid that such should be the case! But the binding of the devil is his being prevented from the exercise of his whole power to seduce men, either by violently forcing or fraudulently deceiving them into taking part with him. If he were during so long a period permitted to assail the weakness of men, very many persons, such as God would not wish to expose to such temptation, would have their faith overthrown, or would be prevented from believing; and that this might not happen, he is bound. But when the short time comes he shall be loosed. For he shall rage with the whole force of himself and his angels for three years and six months; and those with whom he makes war shall have power to withstand all his violence and stratagems. And if he were never loosed, his malicious power would be less patent, and less proof would be given of the steadfast fortitude of the holy city: it would, in short, be less manifest what good use the Almighty makes of his great evil. For the Almighty does not absolutely seclude the saints from his temptation, but shelters only their inner man, where faith resides, that by outward temptation they may grow in grace. And He binds him that he may not, in the free and eager exercise of his malice, hinder or destroy the faith of those countless weak persons, already believing or yet to believe, from whom the Church must be increased and completed; and he will in the end loose him, that the city of God may see how mighty an adversary it has conquered, to the great glory of its Redeemer, Helper, Deliverer. And what are we in comparison with those believers and saints who shall then exist, seeing that they shall be tested by the loosing of an enemy with whom we make war at the greatest peril even when he is bound? Although it is also certain that even in this intervening period there have been and are some soldiers of Christ so wise and strong, that if they were to be alive in this mortal condition at the time of his loosing, they would both most wisely guard against, and most patiently endure, all his snares and assaults. Now the devil was thus bound not only when the Church began to be more and more widely extended among the nations beyond Judea, but is now and shall be bound till the end of the world, when he is to be loosed. Because even now men are, and doubtless to the end of the world shall be, converted to the faith from the unbelief in which he held them. And this strong one is bound in each instance in which he is spoiled of one of his goods; and the abyss in which he is shut up is not at an end when those die who were alive when first he was shut up in it, but these have been succeeded, and shall to the end of the world be succeeded, by others born after them with a like hate of the Christians, and in the depth of whose blind hearts he is continually shut up as in an abyss. But it is a question whether, during these three years and six months when he shall be loose, and raging with all his force, any one who has not previously believed shall attach himself to the faith. For how in that case would the words hold good, Who enters into the house of a strong one to spoil his goods, unless first he shall have bound the strong one? Consequently this verse seems to compel us to believe that during that time, short as it is, no one will be added to the Christian community, but that the devil will make war with those who have previously become Christians, and that, though some of these may be conquered and desert to the devil, these do not belong to the predestinated number of the sons of God. For it is not without reason that John, the same apostle as wrote this Apocalypse, says in his epistle regarding certain persons, They went out from us, but they were not of us; for if they had been of us, they would no doubt have remained with us. 1 John 2:19 But what shall become of the little ones? For it is beyond all belief that in these days there shall not be found some Christian children born, but not yet baptized, and that there shall not also be some born during that very period; and if there be such, we cannot believe that their parents shall not find some way of bringing them to the laver of regeneration. But if this shall be the case, how shall these goods be snatched from the devil when he is loose, since into his house no man enters to spoil his goods unless he has first bound him? On the contrary, we are rather to believe that in these days there shall be no lack either of those who fall away from, or of those who attach themselves to the Church; but there shall be such resoluteness, both in parents to seek baptism for their little ones, and in those who shall then first believe, that they shall conquer that strong one, even though unbound,— that is, shall both vigilantly comprehend, and patiently bear up against him, though employing such wiles and putting forth such force as he never before used; and thus they shall be snatched from him even though unbound. And yet the verse of the Gospel will not be untrue, Who enters into the house of the strong one to spoil his goods, unless he shall first have bound the strong one? For in accordance with this true saying that order is observed— the strong one first bound, and then his goods spoiled; for the Church is so increased by the weak and strong from all nations far and near, that by its most robust faith in things divinely predicted and accomplished, it shall be able to spoil the goods of even the unbound devil. For as we must own that, when iniquity abounds, the love of many waxes cold, Matthew 24:12 and that those who have not been written in the book of life shall in large numbers yield to the severe and unprecedented persecutions and stratagems of the devil now loosed, so we cannot but think that not only those whom that time shall find sound in the faith, but also some who till then shall be without, shall become firm in the faith they have hitherto rejected and mighty to conquer the devil even though unbound, God's grace aiding them to understand the Scriptures, in which, among other things, there is foretold that very end which they themselves see to be arriving. And if this shall be so, his binding is to be spoken of as preceding, that there might follow a spoiling of him both bound and loosed; for it is of this it is said, Who shall enter into the house of the strong one to spoil his goods, unless he shall first have bound the strong one? Chapter 9.— What the Reign of the Saints with Christ for a Thousand Years Is, and How It Differs from the Eternal Kingdom. It is then of this kingdom militant, in which conflict with the enemy is still maintained, and war carried on with warring lusts, or government laid upon them as they yield, until we come to that most peaceful kingdom in which we shall reign without an enemy, and it is of this first resurrection in the present life, that the Apocalypse speaks in the words just quoted. For, after saying that the devil is bound a thousand years and is afterwards loosed for a short season, it goes on to give a sketch of what the Church does or of what is done in the Church in those days, in the words, And I saw seats and them that sat upon them, and judgment was given. 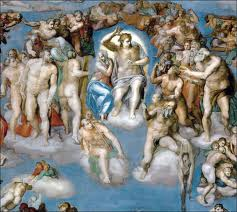 It is not to be supposed that this refers to the last judgment, but to the seats of the rulers and to the rulers themselves by whom the Church is now governed. And no better interpretation of judgment being given can be produced than that which we have in the words, What ye bind on earth shall be bound in heaven; and what ye loose on earth shall be loosed in heaven. Matthew 18:18 Whence the apostle says, What have I to do with judging them that are without? Do not ye judge them that are within? 1 Corinthians 5:12 And the souls, says John, of those who were slain for the testimony of Jesus and for the word of God, — understanding what he afterwards says, reigned with Christ a thousand years, Revelation 20:4 — that is, the souls of the martyrs not yet restored to their bodies. For the souls of the pious dead are not separated from the Church, which even now is the kingdom of Christ; otherwise there would be no remembrance made of them at the altar of God in the partaking of the body of Christ, nor would it do any good in danger to run to His baptism, that we might not pass from this life without it; nor to reconciliation, if by penitence or a bad conscience any one may be severed from His body. For why are these things practised, if not because the faithful, even though dead, are His members? Therefore, while these thousand years run on, their souls reign with Him, though not as yet in conjunction with their bodies. And therefore in another part of this same book we read, Blessed are the dead who die in the Lord from henceforth and now, says the Spirit, that they may rest from their labors; for their works do follow them. Revelation 14:13 The Church, then, begins its reign with Christ now in the living and in the dead. For, as the apostle says, Christ died that He might be Lord both of the living and of the dead. Romans 14:9 But he mentioned the souls of the martyrs only, because they who have contended even to death for the truth, themselves principally reign after death; but, taking the part for the whole, we understand the words of all others who belong to the Church, which is the kingdom of Christ. As to the words following, And if any have not worshipped the beast nor his image, nor have received his inscription on their forehead, or on their hand, we must take them of both the living and the dead. And what this beast is, though it requires a more careful investigation, yet it is not inconsistent with the true faith to understand it of the ungodly city itself, and the community of unbelievers set in opposition to the faithful people and the city of God. His image seems to me to mean his simulation, to wit, in those men who profess to believe, but live as unbelievers. For they pretend to be what they are not, and are called Christians, not from a true likeness but from a deceitful image. For to this beast belong not only the avowed enemies of the name of Christ and His most glorious city, but also the tares which are to be gathered out of His kingdom, the Church, in the end of the world. And who are they who do not worship the beast and his image, if not those who do what the apostle says, Be not yoked with unbelievers? 2 Corinthians 6:14 For such do not worship, i.e., do not consent, are not subjected; neither do they receive the inscription, the brand of crime, on their forehead by their profession, on their hand by their practice. They, then, who are free from these pollutions, whether they still live in this mortal flesh, or are dead, reign with Christ even now, through this whole interval which is indicated by the thousand years, in a fashion suited to this time. The rest of them, he says, did not live. For now is the hour when the dead shall hear the voice of the Son of God, and they that hear shall live; and the rest of them shall not live. The words added, until the thousand years are finished, mean that they did not live in the time in which they ought to have lived by passing from death to life. And therefore, when the day of the bodily resurrection arrives, they shall come out of their graves, not to life, but to judgment, namely, to damnation, which is called the second death. For whosoever has not lived until the thousand years be finished, i.e., during this whole time in which the first resurrection is going on—whosoever has not heard the voice of the Son of God, and passed from death to life—that man shall certainly in the second resurrection, the resurrection of the flesh, pass with his flesh into the second death. For he goes to say This is the first resurrection. Blessed and holy is he that has part in the first resurrection, or who experiences it. Now he experiences it who not only revives from the death of sin, but continues in this renewed life. In these the second death has no power. Therefore it has power in the rest, of whom he said above, The rest of them did not live until the thousand years were finished; for in this whole intervening time called a thousand years, however lustily they lived in the body, they were not quickened to life out of that death in which their wickedness held them, so that by this revived life they should become partakers of the first resurrection, and so the second death should have no power over them. Whilst reading a customer review of Stephen Walford's intriguing new book on Catholic eschatology Heralds of the Second Coming (which I hope to be able to cover in more detail myself in the near future), I was surprised to note that he was criticised by a reader for failing to adhere to the concept of a purported future Eucharistic Reign of Christ. The idea of a future Eucharistic Reign of Christ on earth for a thousand years after an intermediate Paraousia (during which time Our Lord would supposedly rule invisibly on earth from heaven), is a concept which was first proposed in the writings of contemporary Catholic theologian Fr. Joseph Iannuzzi. It is of great importance here to realise that this work should be considered separately from the traditional Catholic amillennialist of the Apocalypse - a line of interpretation which has been followed by mainstream theologians since St. Augustine first clearly elucidated the true meaning of the millennium in the Book of Revelation. According to Fr. 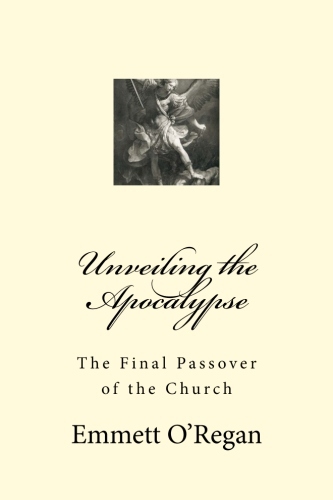 Iannuzzi and his followers, who like the Protestant dispensationalists, hold to an overly literal view of the chronology of the Book of Revelation, there will a thousand year millenary reign of Christ following the defeat of the Antichrist - a historic triumph of the Church which is to be equated with the era of peace foretold in the Secret of Fatima. Much in line with the postmillennial view forwarded by some Protestant commentators, Fr. Iannuzzi suggests that after this glorious future thousand year reign of Christ is over, Satan will once again be let loose from his chains during his "little while" in order to deceive the inhabitants of the earth, before finally being thrown into the lake of fire by Christ at his final Coming. Yet even if Revelation is already complete, it has not been made completely explicit; it remains for Christian faith gradually to grasp its full significance over the course of the centuries. So the evident chiliasm in the writings of some of the early Church Fathers can be put down to the fact did not yet possess any special insight into parts of Scripture that were still not fully illuminated by the Holy Spirit. They were merely attempting to make the best sense they could out of what is one of the most mysterious aspects of Christian eschatology. But after St. Augustine had revealed that the millennial reign of Christ started with His earthly ministry and that it encompassed the age of the Church, the chiliastic idea that Christ would reign for a thousand years with the saints on earth was subsequently recognised as a dangerous heresy which unduly emphasised the importance of the worldly realm over the spiritual. This was in keeping with Christ's declaration that "My kingdom is not of this world" (John 18:36). Ever since St. Augustine of Hippo presented his understanding of the Apocalypse in the monumental work City of God, Catholic theologians have unswervingly adhered to the amillennialist position, which holds that the "millennium" began with the binding of Satan in the ministry of Christ, and that this "1000 years" symbolises the age of the Church as the kingdom of Christ on earth. For Catholics, Christ is already the King who reigns from heaven forever, and has done since the Incarnation - we do not need to wait until some point in the future for His millennial reign from heaven. 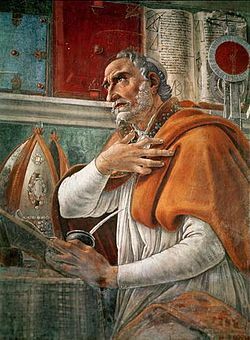 Indeed accepting the amillennialist position outlined by St. Augustine (who as a doctor of the Church, is considered by Catholic theologians to be the ultimate authority on this matter) is a vital key to understanding the significance of the "little while" given to Satan - when he is unleashed after the "1000 years" are over. I believe that this "little while" of the unbinding of the Devil directly corresponds to the period of the Great Apostasy and Pope Leo XIII's vision of the 100 years of Satan's greater power, and is consequently related to the horrors of the 20th century. Given that there are a significant number of Catholics who follow Fr. Joseph Iannuzzi's concept of a millennial Eucharistic Reign of Christ on earth after the defeat of the Antichrist, I thought I should link to a more critical (and orthodox) review of his one of his books - The Splendor of Creation, before commenting in some more detail on St. Augustine's view of the millennium in a later post. The author’s main purpose in this book is to convince us that, in the very near future, we will witness a historical and universal ‘era of peace’, driven by a fresh outpouring of the Holy Spirit, as at Pentecost: “As humankind enters the third millennium, it will witness an explosion of mystical gifts, particularly that of ‘Living in the Divine Will’. By means of this most powerful gift that elevates man’s internal powers to God’s continuously eternal activity, all creation will be set free from its former slavery to corruption and glory and enjoy the glorious freedom of the sons of God. This liberating process of man and the cosmos introduces God’s sons and daughters to the splendor of creation, where a ‘new Pentecost’ will assist his creatures to live in harmony and in holiness.”(pp. 187-188). He sets out to persuade us of this attractive prospect by arguing that the ‘era of peace’ (an expression taken from the Fatima apparitions in 1917, see note 22) has been prophesied by a formidable array of authoritative sources since the early days of the Church, and has been further confirmed and clarified over the last century in the ‘approved’ writings of a variety of Catholic mystics. He quotes extensively from the writings of these mystics, especially when explaining how the Holy Spirit’s work of divinization will bring all men to behave peacefully, during the imminent ‘era of peace’, through a voluntary and loving adherence to the divine will. The strength of this book lies in the author’s evident desire for the imminent ‘era of peace’ and his ardent conviction that this ‘period of triumphant Christianity’ corresponds to Christ’s reign of one thousand years prophesied in chapter 20 of the book of Revelation. One hesitates to criticize a book that anticipates such a pleasant and painless interim for the Church and for mankind, but it must be said that the force of the author’s conviction should not obscure our vision of the truth and our understanding of reality. Even though a host of worthy churchmen and women may wish for Christianity to be seen to triumph in this world, and for this triumph to be expressed in a historical and lengthy ‘era of peace’, one must seriously consider whether their wish truly conforms to reality, or whether it simply reflects a form of ecclesiastical idealism, or wishful thinking, that has become isolated from the ‘real world’, and especially from the ugly presence of unforgivable or ‘eternal’ sin (cf. Mk 3,29; Mt 12,32; 1Jn 5,16-17; Heb 6,4-6; 10,26-31; Rev 16,9-11.21). Given that this kind of sin can only be removed from the creation at the final judgment, and also that it is implacably hostile to God’s kingdom, it follows that before the final judgment there can be no historical realization, or consummation, of God’s kingdom. In the symbolical language of the book of Revelation, this means that the chaining of Satan in the abyss during the ‘millennium’ does not stop him from exerting his influence through spiritual (angelic) deputies and willing humans. In this way Satan is still able to oppose the Kingdom of God and impede its full realization. This is confirmed by the Catechism when it says “the kingdom will be fulfilled, then, not by a historic triumph of the Church through a progressive ascendancy, but only by God’s victory over the final unleashing of evil…God’s triumph over the revolt of evil will take the form of the Last Judgement after the final cosmic upheaval of this passing world” (CCC 677b). So instead of the ‘historic triumph of the Church’ we should rather expect that “The Church will enter the glory of the kingdom only through this final Passover, when she will follow her Lord in his death and Resurrection” (CCC 677a). The inescapable conclusion is that the long-awaited and greatly desired consummation of God’s kingdom will be attainable only through a grueling persecution of the Church followed closely by the final judgment. The author’s ‘era of peace’ is exposed as a pious pipedream, an illusory escape from the hard realities that we should even now be spiritually preparing for. Far from being a miraculous placebo inducing a global ‘era of peace’ and a ‘historic triumph of the Church’, the new Pentecost (Rev 8:5) is actually granted to the Church to prepare and strengthen her for the last and greatest tribulation she will ever have to face, “her final Passover, when she will follow her Lord in his death and Resurrection” (CCC 677a), a persecution that to all the world will seem like a humiliating defeat. Related to this general theological objection to the author’s proposal for an imminent, historical ‘era of peace’, is the claim that it represents the millennial rule of Christ with his saints described in chapter 20 of the book of Revelation. Throughout the book, the author takes pains to distinguish his futuristic interpretation of the millennium from the various forms of millennialism that the Church has robustly condemned (chapter 7). Although he does not spell it out, the author’s proposal clearly conforms to the class of interpretations defined as ‘postmillennial’, which is to say that it expects the Second Coming of Christ to occur after a millennial ‘era of peace and triumphant Christianity’. One great weakness of his work is that he does not deal with the classical objections to this form of interpretation, namely that New Testament writers do not anticipate a millennial age to dawn on earth. As noted recently by a Protestant Scholar, “There is no biblical evidence that the nations as a whole will become Christianized. In fact, just the opposite appears to be the case. After all, we read the great lament of our Lord. “When the Son of Man comes, will he find faith on earth?” (Luke 18:8). Indeed the Bible teaches that Christ will judge the nations when he returns because of their unbelief and hostility toward his kingdom (Matt. 25:31-32; Rev. 19:15; 20:11-12). It is hard to attribute this deplorable condition to a brief period of apostasy after Jesus Christ and his saints have ruled over these nations for a thousand years and, according to postmillennial expectations, the nations have become Christianized. Therefore, postmillennial expectations do not fit easily with the New Testament’s emphasis on our Lord’s return to judge the unbelieving world.” (A Case for Amillennialism: Understanding the End Times, Kim Riddlebarger, Grand Rapids, MI: Baker Books; Leicester, UK: IVP, 2003, p.237). And again, “But postmillenarians err when they attempt to locate the triumph of the kingdom in the Christianizing of the nations and the economic, cultural, and religious progress associated with an earthly millennium. Christ’s kingdom is not of this world. But one day, John said, the kingdoms of the world will “become the kingdom of our Lord and of his Christ” (Rev. 11:15). That day will come when Jesus Christ returns but not before.” (op.cit. p. 239). Rev. Iannuzzi may be correct in asserting that postmillennial interpretations have not yet been censured by the Church’s Magisterium, but he appears to be blissfully unaware of the fact that they are not consistent with rest of the New Testament. While arguing against other interpretations of the millennium in chapter seven of his book, the author rather too hastily sweeps aside the traditional amillennialist view, according to which the millennium corresponds to the present Church age: “Not only did the Amillenarians disavow belief in the Pre- and Postmillenarians’ literal views of biblical eschatology, they denied and opposed the possibility of the magisterial ‘historic period of triumphant Christianity’. Needless to say, the Magisterium condemned their beliefs due to faulty interpretations of the 20th Chapter of the book of Revelation.” (p.200). This comment is contentious for several reasons: firstly because the Magisterium has never declared itself in favour of a ‘historic period of triumphant Christianity’ as the author claims. On the contrary, the Catechism of the Catholic Church asserts that “…the kingdom will be fulfilled, then, not by a historic triumph of the Church…” (CCC 677) as already seen above. Secondly, it should be observed that the author’s lengthy descriptions of the proposed future ‘era of peace’ are equally applicable to the present Church age (e.g. ‘the first resurrection’, pp. 69-72). In this way, the author goes a long way in recognizing the arguments in favour of the amillennial interpretation. Thirdly, to the best of my knowledge, the Magisterium has never condemned the amillennialist interpretation of Rev. 20, and is never likely to condemn it, because this was the interpretation long ago proposed by St. Augustine (City of God, book 20, chs. 7-10) and adopted by the Church to oppose millennialism. Noteworthy in this regard is the absence of a reference in the endnotes to any document confirming this erroneous assertion. This last objection raises doubts about the veracity of the author in promoting his ‘era of peace’. Regrettably, there are several other instances in this book where the author seems to be drawing false conclusions from his sources. He does this, deliberately it would seem, by selectively quoting from the writings of ancient authors, in order to make them appear to support his postmillennial ‘era of peace’, even though they do not. In some cases this means hiding dissonant features and, in other cases, inventing consonant features.... (Read the full article here). As an answer to the request of the Pope to the Patriarch of Lisbon, Cardinal José Policarpo, asking that he consecrate the Pope’s Pontificate to Our Lady of Fatima, the Bishops of Portugal have just decided that this consecration be made next May 13. The consecration will be included in the program of the International Pilgrimage of May 12/13 and will be made on the 13th at a time to be announced later. May’s International Anniversary Pilgrimage, on the 96th anniversary of the first apparition of Our Lady to seers Lucia, Francisco and Jacinta, will be presided over by Mons. Orani Tempesta, Archbishop of Rio de Janeiro. Let us remind you that, during the opening speech of the 181st Plenary Assembly of the Bishops Conference of Portugal, Cardinal Policarpo said that he could very well fulfill the request all alone, “in silent prayer”, but that “it would be nice if the entire Bishops Conference joined him in fulfilling the Pope’s request”. We can find another key piece of scriptural evidence which may help to identify the Two Witnesses as the Angelic Pope and the Great Monarch, by studying the Book of Zechariah. Chapters 3-4 of the Book of Zechariah provide the primary basis for the background details of the Two Witnesses of Rev 11. It is here that we find the first biblical reference to these figures as the two olive trees that stand before the Lord of the whole earth. Only in the Book of Zechariah, these two olive trees are identified with two historical figures, from whom we can glean some additional information concerning the Two Witnesses - Joshua the High Priest and Zerubbabel. In identifying the Two Witnesses with Joshua the High Priest and Zerubbabel as detailed in the Book of Zechariah, the Apocalypse suggests that we should study this portion of the Bible in greater detail in order to flesh out a fuller picture of the personal attributes of these two end-time prophets. After King Cyrus had permitted the Jewish exiles in Babylon to return to Jerusalem, Joshua the High Priest travelled back to the Holy City along with Zerubbabel, who was appointed governor of the Persian province of Judah by King Darius I of Persia. Although Zerubbabel was the grandson of King Jehoiachin of Judah, and was thus the rightful heir to the Davidic throne, he could not ascend the kingship of Judah because its territory had been subsumed into the wider Achaemenid Persian Empire. After Zerubbabel was made governor of Judah, he set about rebuilding the Temple in Jerusalem, which had been destroyed by King Nebuchadnezzar in 588BC. This is considered by biblical historians to be the beginning of the Second Temple Period, which lasted up to its destruction in 70AD. “Therefore thus says the LORD of hosts: Because you have not obeyed my words, behold, I will send for all the tribes of the north, declares the LORD, and for Nebuchadnezzar the king of Babylon, my servant, and I will bring them against this land and its inhabitants, and against all these surrounding nations. I will devote them to destruction, and make them a horror, a hissing, and an everlasting desolation. Moreover, I will banish from them the voice of mirth and the voice of gladness, the voice of the bridegroom and the voice of the bride, the grinding of the millstones and the light of the lamp. This whole land shall become a ruin and a waste, and these nations shall serve the king of Babylon seventy years. Then after seventy years are completed, I will punish the king of Babylon and that nation, the land of the Chaldeans, for their iniquity, declares the LORD, making the land an everlasting waste. I will bring upon that land all the words that I have uttered against it, everything written in this book, which Jeremiah prophesied against all the nations." Counting backwards 70 years from when King Cyrus issued his decree allowing for the return of the Jews in 538BC, this would suggest that the period of God's punishment for Judah's apostasy began around the year 608/609BC. The date of 609BC is highly significant in this regard, since this was the year of the death of the good King Josiah of Judah, following the Battle of Megiddo. An event which would ultimately bring about the complete demise of the kingdom of Judah. 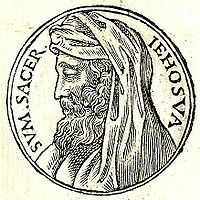 The successors to Josiah, notably his sons Jehoiakim and Zedekiah, made a series of poor political allegiances that led to the sack of Jerusalem by Nebuchadnezzar circa 598 and 588BC. So it appears that Jeremiah's prophecy of the 70 years of desolation should be counted from the events of the Battle of Megiddo in 609BC. The turn of the third millennium marks the dawn of the "third day" according to the words of St. Peter. omega (o) is 800, while the letter nu (n) equals 50. Added together, this gives the total of 1,260. So the period of the Great Apostasy/abomination of desolation is variously represented by "three days", 1,260 days, 42 months, or a "time, times and half a time" - which represents Jeremiah's 70 years being "cut short". Bearing these insights in mind, we can now back to discuss the significance of Joshua the High Priest and Zerubbabel in the interpretation of the Two Witnesses of Rev 11. First, it should be noted that symbolically speaking, the Roman Catholic pontiff is the best modern day equivalent of the Jewish High Priest, since for Catholics the pope is the Pontifex Maximus (Latin "high priest"). The Jewish High Priest was the top ranking priestly official in the Temple at Jerusalem, and was tasked with performing the sacrificial rituals in the Holy of Holies on the Day of Atonement. Given that the role of the High Priest in Judaism instantly brings to mind the role of the Bishop of Rome in Roman Catholicism, it is no great leap to suggest that Joshua the High Priest in the vision of Zechariah can be equated with a pope in an eschatological context. There are also some parallels between Zerubbabel and the Great Monarch, given that he was the rightful heir to the lost kingdom of Judah. The Great Monarch of various private revelations is similarly described as the rightful heir to the now lost French Monarchy or the Holy Roman Empire - which ended with the abdication of Emperor Francis II in 1806. So given that the Two Witnesses of the Apocalypse are based on the coming of the High Priest of the Temple of Jerusalem and the heir to the lost Davidic kingdom after a period of desolation, this would further suggest that these two end-prophets are in fact the Angelic Pope and Great Monarch of Catholic prophecy - who are foretold to restore the Church from a state of apostasy before the coming of the Antichrist. arrives once Satan has been thrown down from his adversarial position in the heavenly court, and cast to the earth. In Zechariah's vision, Satan has been allowed to test Joshua - and his sins are visually represented for all to see in the soiled priestly vestments. But just as Satan is thrown down from heaven after accusing the Christian brethren day and night in Rev 12; Satan is rebuked in Zechariah's vision, and Joshua the High Priest is allowed to wear clean robes at the end of the Babylonian exile. The Book of Zechariah describing Joshua the High Priest changing from garments soiled by the apostasy of Judah, to new clean vestments in the restoration at the end of the Babylonian exile, recalls several similar passages in the Book of Revelation which are related to themes of redemption and the Second Pentecost. Behold, the feet of the aforementioned female image appeared to be white, giving out a brightness above that of the sun. I heard a voice from heaven saying to me: "Even though all things on earth are tending toward their end, so hardships and calamities is bowed down to its End, nevertheless, the Spouse of my Son, though much weakened in her children, will never be destroyed either by the heralds of the Son of Perdition or by the Destroyer himself, however much she will be attacked by them. At the End of time she will arise more powerful and more secure; she will appear more beautiful and shining so that she may go forth in this way more sweetly and more agreeably to the embraces of her Beloved. The major difference between the visions of St. Hildegard and the Book of Zechariah is the manner in which the Church is personified. In St. Hildegard's visions the Church is represented by the woman in soiled robes who is restored to her former glory, while in Zech 3, the Church is personified in the Jewish High Priest. But if Joshua the High Priest represents the pope in Zechariah's vision, this opens up another intriguing possibility. The image of Satan standing next to Joshua in order to accuse him of his shortcomings is directly based on the story of Job - which in turn forms the primary basis of the vision of Pope Leo XIII. Could this explain why this particular private revelation was given directly to a pope? Usually private revelations are bestowed to visionaries from more humble origins, in keeping with Matt 12:25: "At that time Jesus declared, “I thank you, Father, Lord of heaven and earth, that you have hidden these things from the wise and understanding and revealed them to little children; yes, Father, for such was your gracious will." The choice of the pope as the recipient of this vision appears to be a deliberate attempt to connect the imagery here of Satan accusing Job to its parallel verse in Zech 3. If the vision of Pope Leo XIII is related to Zechariah's vision of Joshua the High Priest and the story of Job, this would help to reinforce the point that the chief scriptural basis for the Two Witnesses of Rev 11 is intimately connected to the prophecies of the Angelic Pope. The Babylonian exile in Zech 3 and Joshua wearing soiled garments would thus represent the trials of Job, and correspond to the "little while" given to Satan in Rev 20 - which ultimately results in the Great Apostasy/abomination of desolation. But in the end, Satan is rebuked, and Joshua the High Priest - one of the olive trees standing before the Lord of all the earth, is allowed to adorn the pure vestments of the Second Pentecost.